Welcome to DFW Grab Bars, a provider of ADA-approved grab bar products and services for clients in the Dallas-Fort Worth Area and the Denton and Grayson County. Mark Simpson, owner and founder of the company, established DFW Grab Bars when he saw a high demand for products associated with safety for both the elderly and the young. As a specialist for ADA-approved grab bars, we make sure to provide clients with top-rated grab bars and professional and efficient installation services. Our ADA-compliant grab bars come in various styles. We have standard and specialty grab bar lines to satisfy your needs. If you are looking to accessorize your space for comfort, we offer the Great Grabz® Safety Bars, our non-compliant ADA luxury safety grab bars. These distinct grab bars deliver a refreshing alternative to sterile and conventionally styled rails. Apart from grab bar users, caregivers also stand to benefit from the presence of grab bars in homes. They can use the grab bars to assist a patient who needs to transfer or maneuver from one area to another. Our grab bars, when properly installed, provide peace of mind and security to users, families, and home care providers. If you need assistance in installing our grab bars to your bathroom or in other areas of your house, our team of installers is ready to help. We train each member on the correct way to install grab bars. Call us today at (214) 585-3326 for a free, no-obligation consultation. Each year, millions of adults aged 65 and older FALL. Falls can cause moderate to severe injuries, such as hip fractures, head traumas and can increase the risk of early death. Fortunately, falls are a public problem that is largely preventable.The folks at DFW Grab Bars are dedicated to helping others live a more active and safe lifestyle. 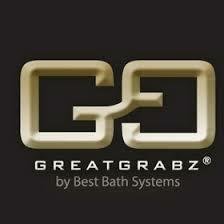 For years we have provided grab bar installations for showers, bathrooms and other areas of the home. Safety is our #1 goal while allowing you to live and stay longer in your own home as you age. As we age bathing becomes more difficult and falls is the leading cause of injury in America today. Grab Bars are not just for the elderly or people with disabilities, EVERYONE will benefit by installing Grab Bars in and around the wet areas of your home. Typically, ADA approved grab bars are the 1st item physicians and surgeons recommend to improve stability, both in and around tubs/showers as well as other areas of the home. We ensure the highest level of satisfaction through our quality workmanship, top rated products and excellent customer service. Thank you so much Mark for your quick response and installation. I absolutely love my ​​​​​grab bars. I thought they were just for old people. Man was I wrong. I can put my weight on them while I am taking a hot shower following a hard days work. They are great !!! !